Cargo ship vessels are built with sophisticated machinery which enables efficient freight operations in open seas. This water-borne craft specialises in transporting large quantities of goods even in the busiest shipping ports in Europe. It also comes with a navigation system to communicate with the port officials to ensure that operations run smoothly at the port of discharge. However, cargo shipping bears a strict schedule and busy port activities. That is why freight operators make use of reliable equipment to coordinate and manage its operation. This includes utilising the right industrial pointing devices, such as trackerballs, for cargo ship applications. Its corrosion-resistant, metal casing and precise button-click response can help in performing critical functions in ship operations. 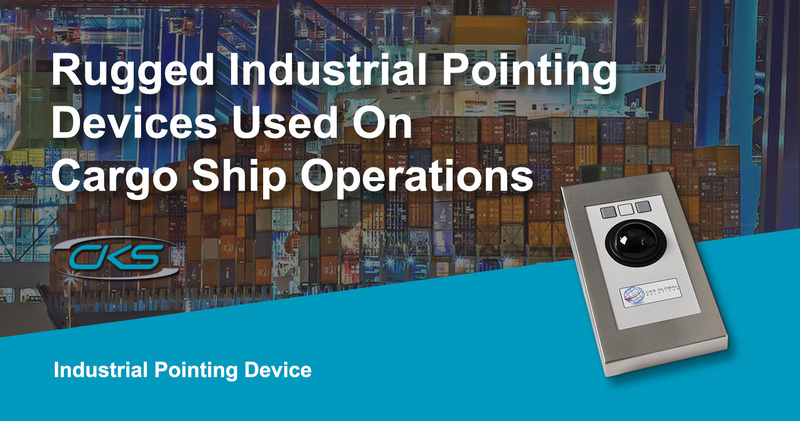 So, what makes this pointing device essential for cargo ship operations? Discover on this blog why ruggedised trackerballs are ideal for cargo ship applications. Cargo ships were designed to accommodate the maximum number of freight without sinking the vessel. As a result, there is ample space for containers and heavy equipment. However, there is a limited allocation for the central control room on the bridge. This limited space is the primary reason why many cargo ship operators prefer using the trackerball for PC-reliant operations. Unlike a typical computer mouse, users do not need to lift the device when navigating the computing system. It also offers a more stable pointer as it cannot move due to the waves crashing with the ship. Thus, operators can provide the right functions in shipping operations. In the next section, find out more why the ruggedised trackball is an ideal pointing device in shipping vessels. Indeed, much pressure is put on the ship crew to transport cargo within the deadline. Any PC hardware malfunction can delay operations and potentially set the vessel behind schedule. It is, therefore, imperative that these devices should remain functional during these operations. Here are the reasons why trackerballs are the ideal pointing devices in the shipping industry. Ruggedised trackballs are made from phenolic resin. This chemical-resistant synthetic polymer is used in a wide variety of industrial applications due to its durable build. So, expect that this device provides a smooth and responsive PC pointer, making it useful for critical tasks in shipping operations. Industrial-grade trackballs are built for industrial applications. Its stainless-steel structure prevents oil, water, and dirt from damaging the device’s circuitry. This ensures that the pointing device remains functional despite exposure to accidental liquid spills during rough weather conditions. Typical computer mice need a smooth, flat surface with a stable platform to perform accurately. Tracker balls, on the other hand, can be integrated into the panel PC. This design prevents accidental twitching form like moving the pointer, allowing more precise operations. Cargo ship operations have complex systems, which transport millions of valuable commodities on a daily basis. It requires a compatible computing technology with ruggedised components for seamless freight shipping operations. Contact an industrial computer manufacturer and ask about integrating industrial pointing devices for shipping operations.